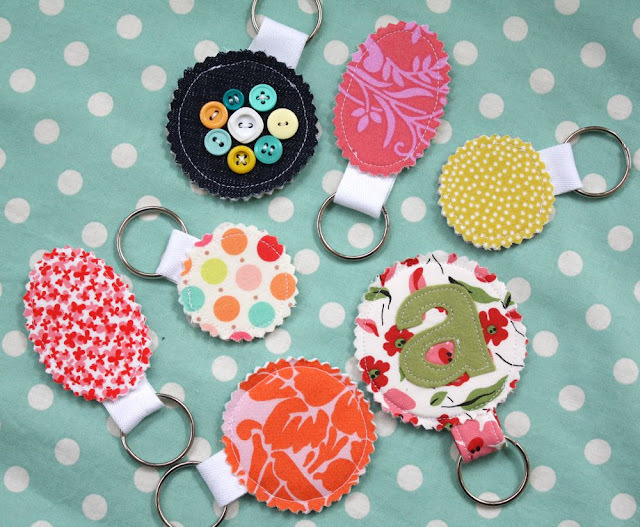 These little key chains are perfect for showcasing your favorite scrap of fabric, or embellishing with button flowers, felt monograms, or whatever you can dream up! *small piece of Pellon Peltex one sided iron-on interfacing. 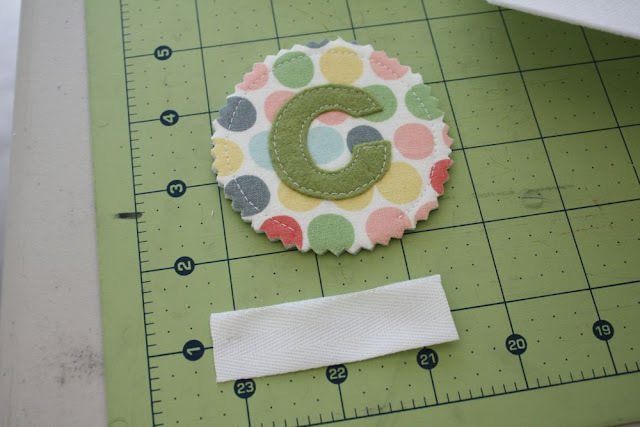 This stuff is really stiff and is almost like cardboard but you can sew right through it. It's awesome! I get mine when the interfacing at Joann's goes on sale, but you really only need a tiny bit so it shouldn't break the bank. 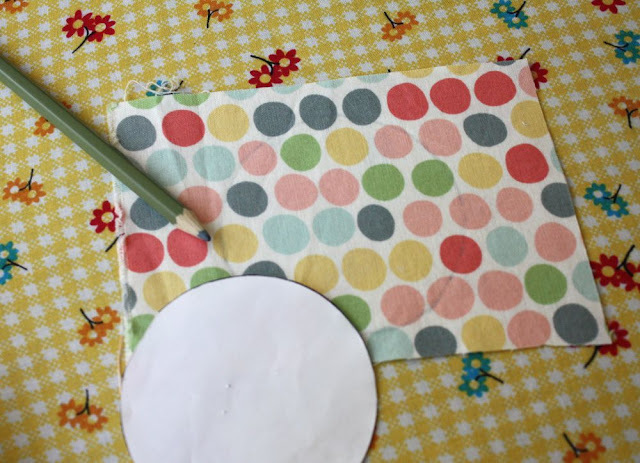 *something to make a pattern with, I traced a few of the round things in my sewing room to get some different shapes, and sketched out the oval. 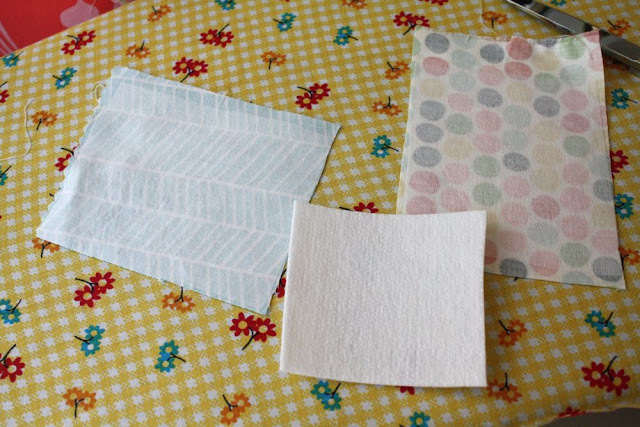 So, first off decide what scraps you'd like to use, and iron on the medium interfacing to the wrong side of the fabric. 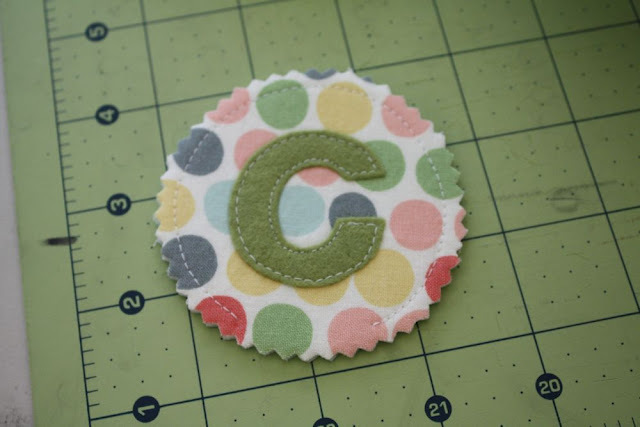 If you're going to do an applique or buttons, trace around your pattern onto the right side of the fabric so that you know how to place it. Then I ironed on the Peltex to the wrong side of my fabric according to the directions. 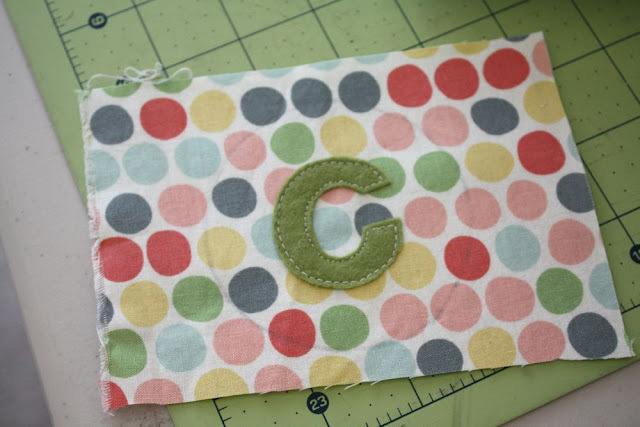 (there's a shiny side, which is the side that should be ironed on the wrong side of the fabric. 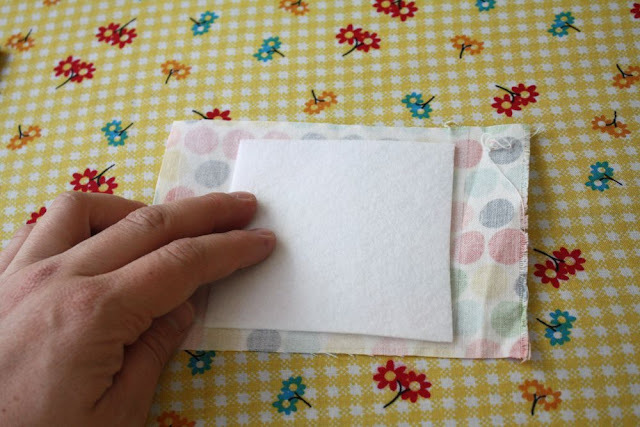 I placed it down, covered it with a pressing cloth, and pressed with my iron for about 10-15 seconds.) 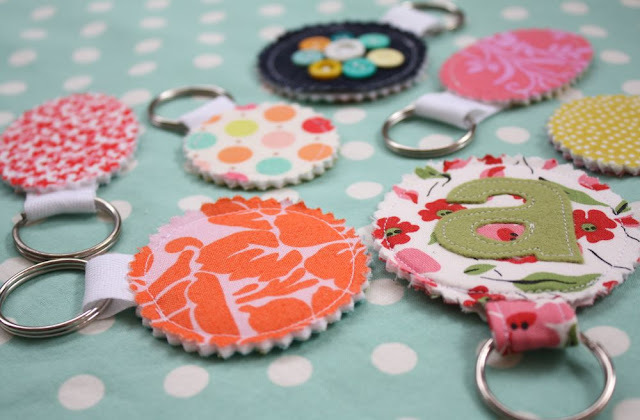 Make sure you iron it to the side you want to be the "front" of your key chain. 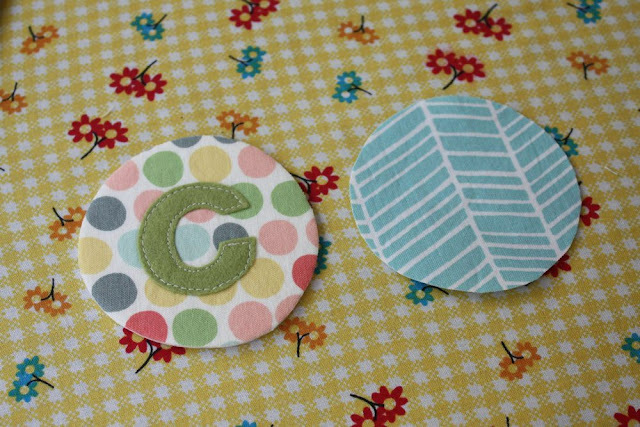 Then cut it out, along with the back of your key chain. Place wrong sides together, and place two pins about 1" or so apart on the bottom. 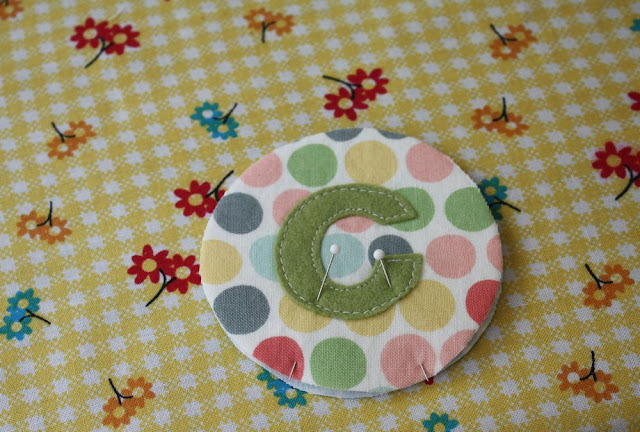 Sew from pin to pin, around the circle, about 1/4" away from the edge. 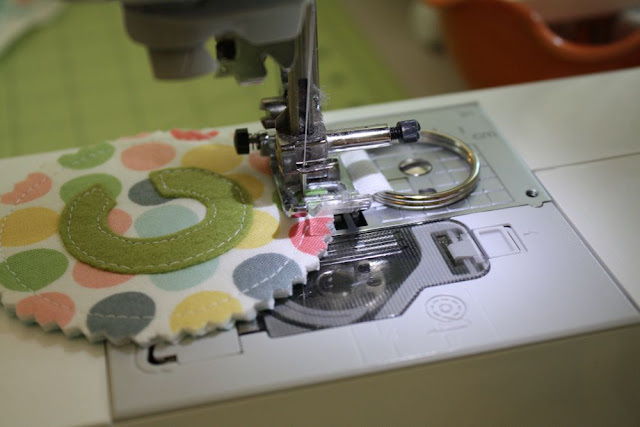 Trim threads, and you're done! Make a ton more for friends and family! 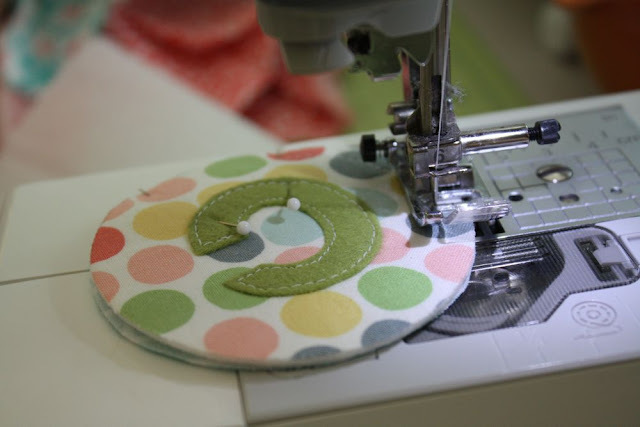 You can also sew up a fabric loop to match, but those were a bit bulky and I found that the twill tape was a lot easier to sew and made them a lot quicker to make also!